I am a daughter, a sister, a girlfriend. I am a feminist, an equalist, an animal lover. I am a writer, a psychology graduate, an avid cook. I am a pessimist, a joker, an adventurer. 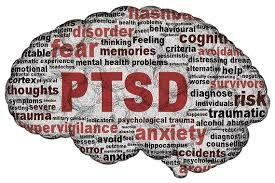 I am a PTSD sufferer. on, and when to ask for help. Though I will always have this illness on some level, I know that I am getting better, and that I have a whole life ahead of me to enjoy my new-found freedom.